Institut Pasteur is a non-profit private foundation dedicated to research, public health and teaching. Still true to humanist ideals of Louis Pasteur, the institute stands at the forefront of innovative research against infectious diseases. 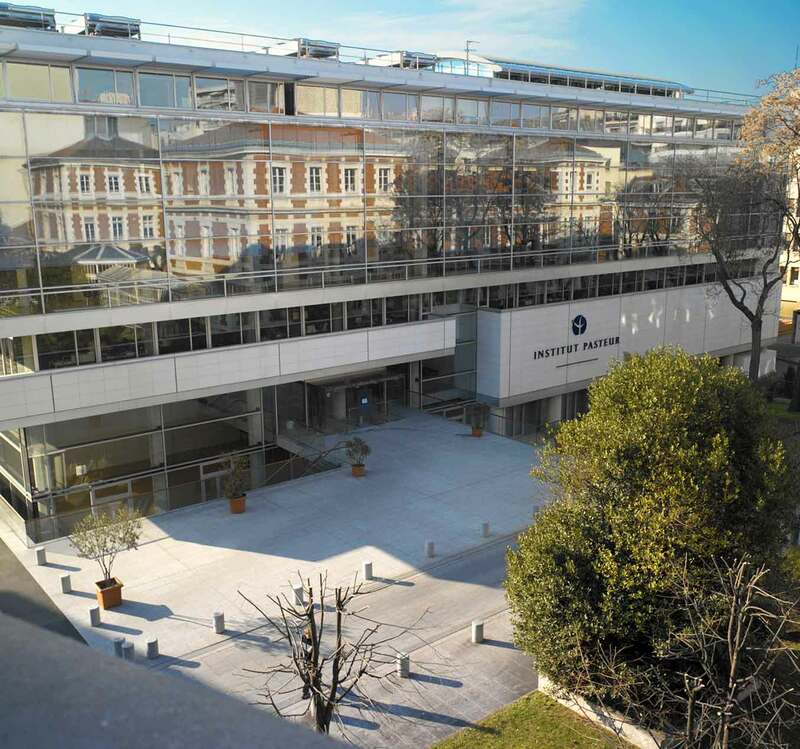 The institute in Paris is also the center of an international network of 32 institutes located on every continent. Amgen Scholars will have the opportunity to conduct mentor-guided research during 8 weeks in one of the 120 laboratories on the multidisciplinary campus offering cutting edge training in a large variety of topics covering Molecular and Cellular Biology, Genetics, Immunology, Microbiology, Genomics, Bioinformatics, Structural Biology, Virology, Parasitology, Mycology, Applied Mathematics for Biology, Infectiology, Imaging, Neurosciences, Developmental Biology and Systems Biology. Each student will have the opportunity to interact with and receive guidance from faculty mentors, interact with young researchers, attend scientific seminars and journal clubs. The program starts with a Welcome Day of introduction to the Institut Pasteur, mixing Scholars, hosting laboratories and all the staff involved in the program. The program will end with a poster session and presentations of the conducted research, followed by a reception with all participants, including all members of the hosting laboratories and administrative staff. In September, Amgen Scholars will participate in a three-day symposium at the University of Cambridge, bringing together all students participating in the Amgen Scholars Europe Program. Paris is one of Europe’s most culturally diverse and artistically rich cities, ensuring an enriching summer experience for Scholars. Amgen Scholars will be housed in university housing. Students from across Europe are invited to apply and to visit the Program website for further details.